HomeDo the impacts of early experiences of hunger affect our behavior, thoughts, and feelings today? Do the impacts of early experiences of hunger affect our behavior, thoughts, and feelings today? This 2015 worldwide human study Hunger promotes acquisition of nonfood objects found that people’s current degree of hungriness affected their propensity to acquire nonfood items. “Hunger’s influence extends beyond food consumption to the acquisition of nonfood items that cannot satisfy the underlying need. The concept of the quotes relates to a principle of Dr. Arthur Janov’s Primal Therapy – symbolic satisfaction of needs. The physiological impacts of our early unmet needs drive our behavior, thoughts, and feelings. Our present efforts to fulfill our early unmet needs will seldom be satisfying. It’s too late. We acquire substitutes now for what we really needed back then. Acquiring these symbols of our early unmet needs may, at best, temporarily satisfy derivative needs. We repeat the acquisition behavior, and get caught in a circle of acting out our feelings and impulses driven by these conditions. The unconscious act-outs become sources of misery both to us and to the people around us. 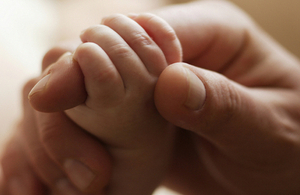 Being touched in the first months of life is crucial to a child’s development. The lack of close contact after the age of 5 wouldn’t have the same effect. Conversely, the need for praise at 6 months of age may not be essential, but it’s crucial for children at age 5. What enduring physiological changes occurred as a result of past hunger? How do these changes affect the subjects’ present behaviors, thoughts, and feelings? should include studying where to start the timelines for the impacts of hunger. The impacts would potentially go back at least to infancy when we were completely dependent on our caregivers. Infants can’t get up to go to the refrigerator to satisfy their hunger. All a hungry infant can do is call attention to their need, and feel pain from the deprivation of their need. Is infancy far back enough, though, to understand the beginnings of potential impacts of hunger? The Non-PC alert: Treating the mother’s obesity symptoms positively affects the post-surgery offspring study referenced an older study of how the hunger of mothers-to-be had lifelong ill effects for the fetuses they carried during the Dutch hunger winter of 1944. The exposed children had epigenetic DNA changes from their mothers’ starvation, which resulted in relative obesity compared with their unexposed siblings.